- Date: 02/2015, Seed: $2.25 M (post valuation: undisclosed amount). iAngels is an equity crowdfunding platform that gives accredited investors the opportunity to become angels in their own right by investing in technology startups alongside top tier angel investors in Israel. 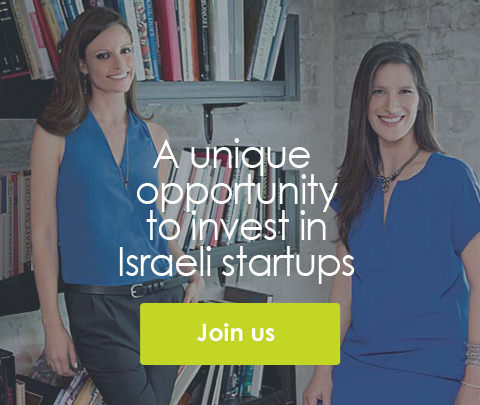 The Israel angel community has traditionally been a closed network of investors that enjoys significant investor returns from some of the most exclusive deals to come out of Startup Nation. Our mission is to open up this unique ecosystem by allowing private investors to coinvest with prominent angel investors in a managed, structured, and transparent way. Our platform combines the proven experience of professional angel investors with the wisdom of crowds. Each startup that is featured on iAngels has been cherry picked by our angel investor network and the iAngels team. Think of it as an endorsement by someone you trust. We believe this is the most important differentiator of our platform because it gives you the advantage of a proven angel’s experience as well as visibility into the high quality early stage investment activities of leading angels in Israel. iAngels Crowd was featured in a VatorNews article: "Real estate investors: here's why we're excited by this space!" iAngels Crowd was featured in a VatorNews article: "Israeli equity crowdfunders iAngels, OurCrowd raise capital"
iAngels Crowd was featured in a VatorNews article: "Meet equity crowdfunding platform iAngels"